Our classes are designed for all ages and all levels of fitness, from beginners to advanced. 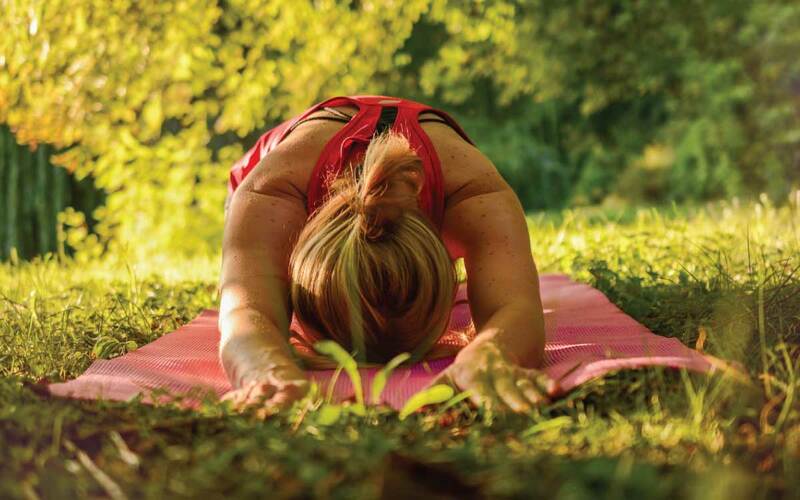 Join us to experience the wonderful benefits of yoga (45 mins), combined with relaxation (30 mins), where you will discover the secrets to leading a healthy, happy and balanced life. Regular yoga sessions will improve flexibility, strength and stamina, invigorate your body and increase energy and vitality, whilst your relaxation session will leave you with a calm, tranquil mind and inner peacefulness. After your rejuvenating class, you are encouraged to stay for a soothing cup of herbal tea (on us), with friends or relax and take some ‘me’ time in our beautiful gardens and quiet zones. Following a teaching career, I settled in Australia to take up yoga, an interest I have pursued since my days at university. As a certified Iyengar yoga teacher, I have practised and studied yoga for over 20 years and conduct my classes in the traditional Iyengar method. The focus in my personal practice and teaching is on developing inner and outer strength by exploring the calmness and clarity that comes with working the body, mind and breath. My classes run as term courses, generally concurring with the NSW public school terms. This allows you to work progressively week by week, developing skills & techniques to help you reach your full potential. Committed students really notice the benefits that come from a regular yoga practice, with improvement to their physical posture, mental state & quality of breath.